Chris Camozzi made waves earlier this year when he announced he had signed a multi-fight contract with GLORY Kickboxing. Now, the time has come for Chris to make his debut at GLORY 48 New York on December 1st! 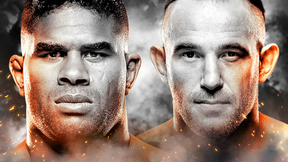 Tune in to the GLORY 48 SuperFight Series on UFC Fight Pass at 7:30pm ET/4:30pm PT on UFC FIGHT PASS.